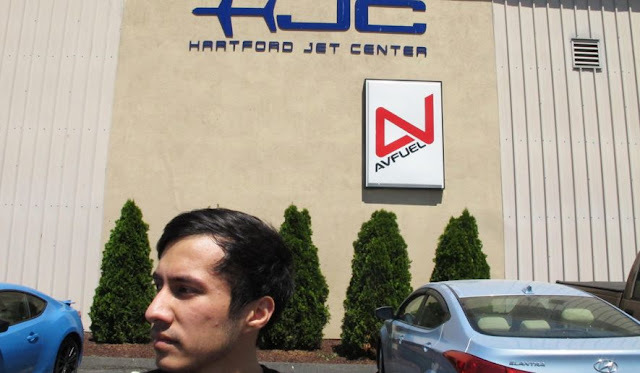 In this Wednesday, June 14, 2017 photo, Arslan Mamiliyev, who was training to become a commercial pilot at the American Flight Academy in Hartford, Conn., stands outside the building where the school was located. He and other international students are suing the school, saying they lost thousands of dollars and are being forced to leave the country after the school closed following two fatal plane crashes. Federal authorities are investigating the crashes and have seized records from the school. A Connecticut flight school under investigation after two fatal plane crashes is denying allegations by international students who say they are being forced to return to their home countries without finishing the training that they paid tens of thousands of dollars for. The Hartford-based American Flight Academy released a statement Thursday denying allegations in a lawsuit filed by three students. The students say they paid $28,000 to $39,000 apiece for commercial pilot training but were far short of the required training hours when the Hartford-based school closed abruptly in April. Two of the students also allege the school cancelled their student visas and they’re being forced to return home Sunday. The three are from Turkmenistan, Peru and Ecuador. The two crashes in October and February remain under investigation by federal authorities. International students at a Connecticut flight school that closed after two fatal plane crashes say they’re out thousands of dollars and are being forced to return to their home countries because their student visas were canceled. Three students are suing the American Flight Academy. They say they paid $28,000 to $39,000 apiece for commercial pilot training but were far short of the required training hours when the Hartford-based school closed abruptly in April. School owner Arian Prevalla has not returned messages seeking comment. The school’s lawyer declined to comment Thursday. Authorities are investigating the two crashes. A student was killed and Prevalla survived a wreck in East Hartford in October. Prevalla told authorities the student crashed the plane on purpose. Another student was killed in a crash in East Haven in February. HARTFORD, Conn. (AP) — International students at a Connecticut flight school that closed after two fatal plane crashes say they’re out thousands of dollars and are being forced to return to their home countries because their student visas were canceled. School owner Arian Prevalla and its lawyer didn’t return messages seeking comment. Authorities are investigating the two crashes. A student was killed and Prevalla survived a crash in East Hartford in October. Prevalla told authorities the student crashed the plane on purpose. Another student was killed in a crash in East Haven in February. Aircraft on landing, ski caught a crevasse. On June 14, 2017, about 1820 central daylight time, an Air Tractor AT64C agricultural airplane, N7501Z, registered to HDS Inc., of Beech Grove, Arkansas, and operated by Kin-Co Ag Aviation Inc., of Beech Grove, Arkansas, was substantially damaged following a forced landed after a loss of engine power near Delaplaine, Arkansas. The commercial pilot sustained minor injuries. The local agricultural flight was being operated under the provisions of Federal Code of Regulations Part 137. Visual meteorological conditions prevailed and a company flight plan was filed. The flight originated at 1800 from the operators private airstrip located in Delaplaine, Arkansas. The pilot reported that he was enroute to spray a rice field after loading chemicals at the company base. While approaching the field, the engine was not making full power. The pilot elected to executed a forced landing into a rice field. As the airplane landed in the field, the right main landing gear struck a levee and the airplane flipped inverted, resulting in substantial damage to the wings and fuselage. There were no witness to the accident. Initial examination of the wreckage by and FAA inspector, did not reveal any anomalies. The airplane wreckage was transported to Dawson Aviation, Clinton, Arkansas, for further examination. The pilot reported that the airplane took off with a quartering tailwind of about 10 to 15 mph. The takeoff was normal; however, shortly after lifting off, the airplane began to settle back toward the ground. The pilot started to dump the fertilizer load, but the airplane subsequently descended to the ground and then hit a rice levee. The pilot reported no preaccident mechanical failures or malfunctions with the airplane that would have precluded normal operation. He noted that the accident might have been prevented if he had paid closer attention to the density altitude; the density altitude was calculated to be 2,205 feet, which would have increased the airplane’s ground roll and decreased its climb performance. The pilot’s inadequate preflight planning, which resulted in his attempt to take off with insufficient climb performance to climb out of ground effect in the high-density altitude conditions. On June 19, 2014, about 1200 central daylight time, a Gulfstream Schweizer G-164C (Grumman Ag-Cat) airplane, N7501Z, was substantially damaged when it impacted terrain after takeoff from a private airstrip near Beech Grove, Arkansas. The pilot was not injured. The airplane was registered to and operated by HDS Inc. under the provisions of 14 Code of Federal Regulations Part 137 as an aerial application flight. Visual meteorological conditions prevailed for the flight, which was not operated on a flight plan. The local flight was originating at the time of the accident. The pilot reported he took off to the north from a 2,500-foot long asphalt runway, with 2,500 lbs. of fertilizer on-board. He added that there was a south wind from about 220 degrees at 10 to 15 miles per hour. The takeoff was normal; however, shortly after lifting off, the airplane began to settle back toward the ground. The pilot started to dump the fertilizer load, but he was unable to recover. The airplane subsequently settled onto the ground and encountered a rice levee. The airplane sustained substantial damage to the wings. The pilot noted that the accident might have been prevented by paying closer attention to density altitude. The accident airplane was powered by a 600-shaft horsepower Garrett model TPE-331-10 turboprop engine. The maximum gross weight for the airplane was 8,625 lbs. The pilot reported that the airplane weight at the time of the accident takeoff was 7,125 lbs. He stated that there were no mechanical failures or malfunctions associated with the airplane prior to the accident. Weather conditions recorded at the Jonesboro Municipal Airport (JBR), located about 20 miles south of the accident site, at 1153, were: wind from 230 degrees at 8 knots; scattered clouds at 3,200 feet agl, scattered clouds at 3,900 feet agl; 10 miles visibility, temperature 30.0 degrees Celsius, dew point 22.2 degrees Celsius, altimeter 30.11 inches of mercury. The associated station pressure was 29.81 inches of mercury. The calculated density altitude was 2,205 feet. The Federal Aviation Administration (FAA) Pilot's Handbook of Aeronautical Knowledge (FAA-H-8083-25A) noted that density altitude represents pressure altitude corrected for nonstandard temperature. A decrease in air density corresponds with an increase in density altitude and a decrease in airplane performance. Density altitude is used in calculating airplane performance. The handbook also noted the effect of wind on takeoff distance is large, requiring proper consideration on takeoff performance. A tailwind of 10-percent of the takeoff airspeed will increase the takeoff distance approximately 21-percent. Aircraft on taxi, struck by a baggage cart. No injuries. Damage minor. The pilot in the airplane reported that he attempted to perform a crosswind, soft-field take off from a dry turf airstrip. The pilot configured the airplane with full throttle application, flaps 10°, and a nose high attitude until the stall warning horn sounded. He then relaxed pressure on the yoke until the stall warning horn subsided. Shortly after rotation the airplane entered a power-on stall and the pilot lost directional control of the airplane. The airplane impacted a barbed wire fence and sustained substantial damage to the right wing strut. Per the National Transportation Safety Board Pilot Aircraft Accident Report, the pilot reported that the accident could have been prevented, if he had received instruction from a Federal Aviation Administration Certificated Flight Instructor that was specific to the accident airplane, specifically for a soft-field takeoff because each individual aircraft has nuances that can affect the operation. The solo student pilot reported that, as the airplane entered ground effect, while landing in crosswind conditions, a gust of wind lifted the airplane and pushed it to the left. He added that he initiated a go-around and "[pushed] the nose down slightly to gain lift". He further added that, during the go-around, he "must have relaxed the aileron countering the wind", and a gust of wind pushed the airplane to the left. Subsequently, the airplane impacted the ground and spun around. The student pilot reported that there were no preaccident mechanical malfunctions or failures with the airplane that would have precluded normal operation. The automated weather observation system located on the airport reported, about 23 minutes before the accident, the wind was from 180° at 15 knots, gusting to 21 knots. The student pilot landed on runway 16. The student pilot's failure to maintain crosswind correction during a go-around in gusting wind conditions. Aircraft on takeoff, experienced a birdstrike. Aircraft force landed on a highway. CARLSTADT - A smattering of details about the pilot crop up in a handful of online media reports. The man was from the Western United States and worked for Hawaii-based Trans-Pacific Jets for about one year. He was older than his 33-year-old co-pilot and had 15 to 20 years of flying experience. The man worked for a variety of charter companies. According to public records, the aircraft he flew was built in 1981 and owned by A&C Big Sky Aviation LLC in Billings, Montana. Still, a full month later, authorities have not released the name of the pilot of the LearJet 35 that crashed May 15 in Carlstadt on approach to Teterboro Airport. The fiery accident killed First Officer Jeffrey Alino of Union, who was identified by fingerprints, and Alino's piloting partner, who remains unidentified. "It's weird," said Joe Orlando, spokesman for the borough of Carlstadt. "You would think after all this time we would have heard something. I can't figure out why we only have one name." The National Transportation Safety Board will examine the plane's cockpit voice recorder, which was recovered from the plane that crashed near Teterboro Airport. While Alino was identified through print analysis, Bergen County and federal officials have said the pilot's remains were too badly burned for anything other than DNA testing. A cockpit voice recorder, which was recovered by the National Transportation Safety Board after the crash, was found intact and should contain the voices of both pilots. However, neither the recorder nor a transcript of its contents have been made public. "We have an idea of who both pilots are," Jim Silliman, a senior National Transportation Safety Board investigator, said a day after the fatal crash. "But confirmation is something we don't have right now." At the time of the accident, county officials said investigators would rely on DNA testing to confirm the man's identity. Those tests are being conducted by a state forensics team in Trenton, a county official said. Asked this week why, a month later, the pilot's name still has not been released, a spokesman stated in an email: "DNA testing can take a long time when there is no body." Orlando, who was at the accident scene, concurred. "The scene was pretty brutal," Orlando said. The U.S. Department of Justice in 2005 published a guide on genome research so families of victims could understand how DNA is used to identify their loved ones. "The process of identifying a victim might be relatively quick or it can be quite lengthy," the department states in "Identifying Victims Using DNA: A Guide for Families." DNA can be isolated from human remains found at a disaster site and then matched to DNA known to be from the victim - such as the victim's prior bloodwork or personal items. "In some instances, not every victim can be identified," states the Department of Justice. 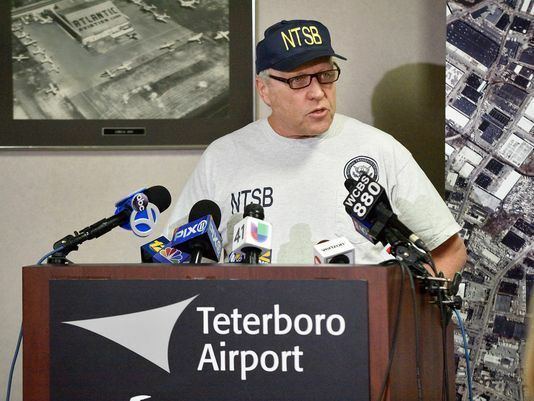 Forensic scientist and DNA expert Lawrence Kobilinsky, who has not worked on the Teterboro case, said Tuesday he finds it odd the pilot's name has not been released. "I would find it hard to believe in a plane crash there is no identifiable DNA," said Kobilinsky, a professor at John Jay College of Criminal Justice. "If the fire department put out the fire in a reasonable amount of time, there is usually teeth or bone -- those are good sources of DNA," Kobilinsky said. Kobilinsky said if a fingerprint was recovered from one victim, there should have been recoverable DNA from the other. "Did the fire burn hotter in one area than another?" Kobilinsky asked. "Usually it does not." A blaze would have to roar for hours at temperatures of at least 2,000 degrees Fahrenheit to completely disintegrate a human body, the professor said. According to an National Transportation Safety Board preliminary report, the LearJet was on approach to Teterboro when it turned late and banked hard during an attempted landing, clipped some buildings and burst into flames as it crashed on Kero Road. In addition to the late turn, investigators are looking at high winds prevalent in the Northeast that day. On May 15, 2017, at 1529 eastern daylight time, a Gates Learjet 35A, N452DA, operated by Trans-Pacific Jets, departed controlled flight while on a circling approach to runway 1 at the Teterboro Airport (TEB), Teterboro, New Jersey, and impacted a commercial building and parking. The captain and first officer died; no one on the ground was injured. The airplane was destroyed by impact forces and postcrash fire. The airplane was registered to A&C Big Sky Aviation LLC and operated by Trans-Pacific Air Charter LLC under the provisions of 14 Code of Federal Regulations Part 91 as a positioning flight. Visual meteorological conditions prevailed, and an instrument flight rules (IFR) flight plan was filed. The flight departed from the Philadelphia International Airport (PHL), Philadelphia, Pennsylvania, about 1504 and was destined for TEB. The accident flight was the crewmembers' third flight of the day. The first flight departed TEB about 0732 on a Part 91 positioning flight and landed about 0815 at the Laurence G. Hanscom Field (BED), Bedford, Massachusetts, where they refueled and boarded a passenger. They departed BED about 1009 on a Part 135 on-demand charter flight and landed at PHL about 1104. The captain filed an IFR flight plan to TEB planning a 28-minute flight at a cruising altitude of flight level 270 (27,000 feet) with a cruise speed of 441 knots and a departure time of 1430. After departure about 1504, the flight was cleared to climb to 4,000 feet above mean sea level (msl). The flight reached a maximum altitude of 4,000 feet msl. About 1515, the flight was cleared to descend to 3,000 ft msl. The New York Terminal Radar Approach Control (TRACON) cleared the flight for the TEB ILS Runway 6 Approach, circle to land runway 1. TRACON instructed the flight to switch frequencies and contact TEB air traffic control (ATC) about 9 miles from the airport; however, the flight did not check onto the ATC's frequency until 4 miles from the airport. ATC cleared the flight to land on runway 1 and issued the TEB winds of 320 degrees at 16 knots, gusting to 32 knots. Radar track data indicated that the flight did not start its right circling turn until it was less than 1 mile from the approach end of runway 6. According to TEB ATC, aircraft typically start the right turn at the final approach fix for runway 6, which is located 3.8 nm from the approach end of runway 6. A TEB ATC controller reported that he observed the airplane bank hard to the right and he could see the belly of the airplane with the wings almost perpendicular to the ground. The airplane then appeared to level out for just a second or two before the left wing dropped, showing the entire top of the airplane. Other ground witnesses also reported that they observed the airplane in a right turn with the wings in a high angle of bank. Some witnesses described seeing the airplane's wings "wobbling" before the left wing dropped and the airplane descended to the ground. Security video cameras installed at numerous commercial buildings also captured the last moments of the flight, showing the airplane at high angles of bank. One security camera showed the airplane in a steep right wing low, nose down attitude at impact. The accident site was located on a 180-degree bearing about 1/2 nautical miles from the threshold of runway 1 at TEB. The main wreckage was distributed in the parking lots of commercial businesses. The wreckage path and debris field was about 440 ft. long on a 135-degree heading, and 3 buildings and 16 vehicles were damaged by impact or fire. Although impact forces and postcrash fire destroyed and consumed much of the airplane, the examination of the wreckage revealed that all components of the airplane were located at the accident site. The cockpit voice recorder (CVR) was located in the wreckage and was sent to the National Transportation Safety Board's (NTSB) Vehicle Recorder Laboratory. The CVR was auditioned by NTSB senior management staff and found to be operating at the time of the accident. A CVR Group will be formed and a transcript of the flight will be produced. Four other airplane components that store non-volatile memory (NVM) and an iPhone were collected and sent to the NTSB Vehicle Recorder Laboratory for examination. All 4 components and the iPhone exhibited impact and fire damage. The 4 components were: 2 Honeywell N1 Digital Electronic Engine Controls (DEEC); 1 Flight Management System (FMS); and 1 Honeywell KGP-56 Enhanced Ground Proximity Warning System (EGPWS). At 1452, the surface weather observation at TEB was: wind 350 degrees at 20 knots gusting to 30 knots; 10 miles visibility; scattered clouds at 4,500 ft; temperature 19 degrees C; dew point 6 degrees C; altimeter 29.75 inches of mercury. The TEB automated terminal information services (ATIS) Z was in effect at the time of the accident. The 1451 ATIS Information Z stated that the current weather was: wind 350 degrees at 18 knots gusting to 29 knots; visibility 10; light rain, 5,500 ft scattered; temperature 18 degrees C; dew point 6 degrees C; altimeter 29.74 inches of mercury. ILS Runway 6 circle approach in use…Low level wind shear advisory in effect… ." When is the best time for an executive to sell stock? How about three weeks after the company issues surprisingly bullish guidance that sends the shares to a record high. 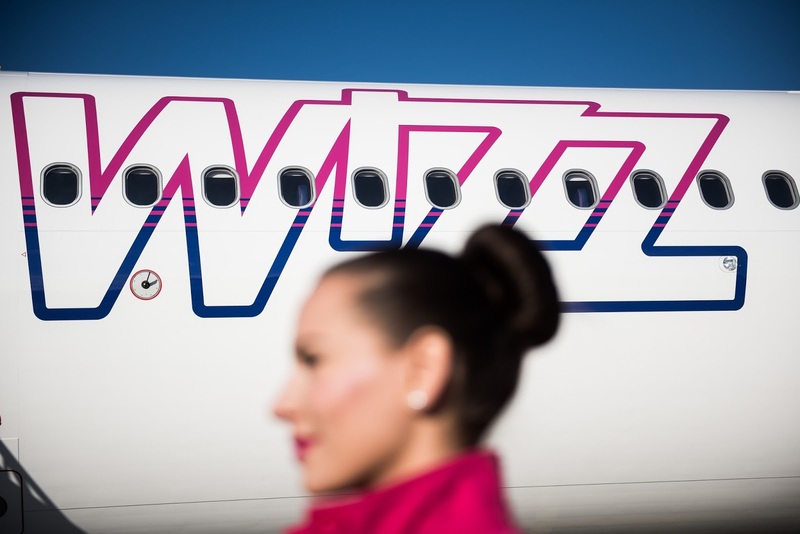 Veteran airline investor Bill Franke is executive chairman of Wizz Air, a low-cost carrier focused on previously neglected Eastern European routes such as Gdansk to Grenoble and Katowice to Kiev. The 80-year-old Texan was also, until Thursday, its anchor shareholder, with a 19% stake through private-equity vehicle Indigo. On Thursday, Indigo sold all its ordinary stock to institutions for £249 million ($317.7 million) or £23.20 a share—only a slight discount to Wednesday’s closing price, which was a record. He retains convertible stock and notes that, if converted, would give him a 54% economic interest. Indigo initially outlined plans to float Wizz in 2014, but was forced to scrap them due to “market volatility in the airline sector.” It finally got the initial public offering off the ground in 2015. Then terrorist attacks and other problems hit European airline demand just as cheap oil fueled a renewed push for scale. Wizz Air’s share price struggled to make headway last year. Sentiment has recovered this year. But Wizz stock only regained its 2015 highs three weeks ago, after the company wowed the Street with bullish guidance in annual results. The shares finished the day up 13%. “Particularly surprising,” noted brokerage HSBC, was Wizz’s expectation of growth in unit revenues—essentially airfares. Its key peer, Ryanair, expects a 5% to 7% decline in fares over the same fiscal year through March 2018. Don’t be surprised if Wizz’s future guidance features a new note of caution. The private pilot was conducting a cross-country personal flight. He reported that, after arriving at his destination and trying to ensure that the airplane was configured for the water landing, he observed that the right main landing gear (MLG) indicator light was off and that the hydraulic pressure read 0. The pilot then attempted to retract the right MLG several times to no avail. He chose to fly to a nearby airport with a paved runway, where the tower controller confirmed that the right MLG was extended but that the left MLG and nose landing gears were retracted. The pilot attempted to use the backup manual hydraulic pump and abrupt maneuvers to extend the remaining landing gear to no avail. The pilot chose to land on the runway with the landing gear partially retracted. The airplane touched down on the runway with the right MLG first. The pilot held the left wing off the runway as long as possible, but then the wing touched the runway, and the airplane veered off the runway surface. The airplane slid along the grass, impacted an airport sign and light, spun 180°, and then came to a rest. Postaccident examination of the airplane revealed that a hydraulic leak had originated from a cracked flare in a hydraulic line fitting, which caused the hydraulic fluid to leak, decreased the hydraulic pressure to 0, and prevented the landing gear system from fully extending or retracting. The failure of the landing gear system to either fully retract or extend due to a cracked hydraulic fitting flare, which resulted in the loss of hydraulic pressure. On September 18, 2016, about 1500 Pacific daylight time, a Jurcan Seawind 3000 airplane, N57TJ, impacted a runway sign after landing with a landing gear malfunction at the Renton Municipal Airport (RNT), Renton, Washington. The pilot and one passenger were not injured, and the airplane sustained substantial damage to the left wing. The airplane was registered to, and operated by, the pilot as a personal flight under 14 Code of Federal Regulations Part 91. Visual meteorological conditions prevailed at the time of the accident, and no flight plan was filed. The airplane departed from Lampson Field Airport (1O2) Lakeport, California at 1040 and was originally destined for Lake Sammamish, Issaquah, Washington. The pilot reported that after arriving at Lake Sammamish, they observed that the right main landing gear indicator light was off and the hydraulic pressure read zero. The pilot attempted to retract the right landing gear several times, but to no avail. He elected to fly to a nearby airport, where the control tower confirmed that the right main landing gear was extended, while the left main and nose landing gears remained retracted. The pilot attempted to use the back-up manual hydraulic pump as well as abrupt maneuvers to lower the remaining landing gears, however, to no avail. The pilot elected to land onto the runway with the abnormal landing gear configuration. The airplane touched down onto the runway right landing gear first. The pilot held the left wing off the runway as long as possible, but when the wing touched the runway, the airplane veered off the runway surface. It slid along the grass and impacted an airport sign and light, before spinning 180 degrees and coming to a rest. Postaccident examination of the airplane revealed a hydraulic leak that originated at a cracked flare in a hydraulic line fitting. This fitting was located on the bulkhead between the cabin and nose compartment that leads directly into the nose gear actuator. The private pilot reported that the engine "sputtered and went to idle" during cruise flight while returning to the departure airport after a local flight. His attempts to restore engine power were not successful. The pilot subsequently conducted a forced landing, during which the airplane impacted a fence and sustained substantial damage. During postaccident examination, the fuel totalizer indicated that 7.3 gallons of fuel remained; however, only about 1.5 gallons of fuel was recovered from the airplane. After fuel was added to each tank, an engine run was conducted, and the engine ran smoothly at idle and about 1,000 rpm, and no anomalies were noted. The pilot reported that the airplane fuel gauges were unreliable, so he used the fuel totalizer for fuel quantity information. However, the totalizer’s operating instructions stated that the instrument does not provide a measurement of the fuel in the tanks and that it “should never be used as the primary indicator of the fuel quantity.” The pilot should not have used the totalizer to determine the amount of fuel onboard the airplane and his reliance on the instrument without ensuring that sufficient fuel was on board for the flight led to fuel exhaustion and a total loss of engine power. The pilot’s improper preflight inspection during which he relied on the fuel totalizer and failed to ensure that sufficient fuel was onboard for the flight, which resulted in fuel exhaustion and a total loss of engine power. 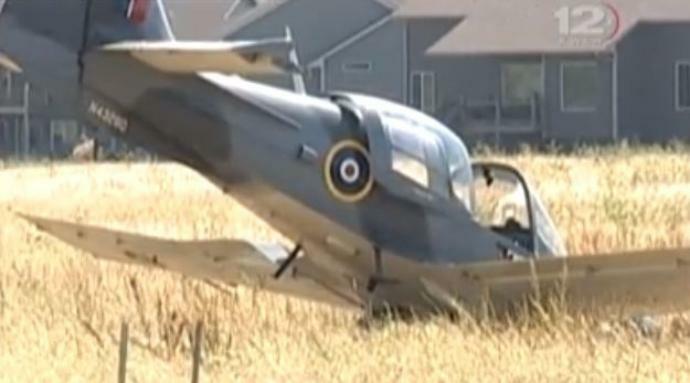 On September 22, 2016, about 1055 central daylight time, a Scottish Aviation Series 100 Model 101 airplane, N432BD, was substantially damaged during a forced landing following a loss of engine power near Wichita, Kansas. The pilot and pilot-rated passenger were not injured. The airplane was registered to the pilot-rated passenger and operated by the pilot under the provisions of 14 Code of Federal Regulations Part 91 as a personal flight. Day visual meteorological conditions prevailed for the flight, which was not operated on a flight plan. The flight originated from the Augusta Municipal Airport (3AU), Augusta, Kansas, about 1040. The pilot reported that he planned to complete a three-leg local flight from 3AU to the Cpt Jack Thomas Memorial Airport (EQA), to the Col. James Jabara Airport (AAO), and return to 3AU. He proceeded to EQA and completed a takeoff and landing. He then flew to AAO for two additional takeoffs and landings. After departing from AAO to return to 3AU, about 2,500 ft mean sea level, the engine "sputtered and went to idle." His attempts to restore engine power were not successful. The airplane struck a wooden fence during the subsequent forced landing. The airplane sustained damage to the leading edges of the wings. A postaccident examination was conducted by a Federal Aviation Administration (FAA) inspector. During that examination, about 1.5 gallons of fuel was recovered from the accident airplane. The inspector did not observe any evidence of a fuel spill at the accident site. The fuel totalizer indicated that 7.3 gallons remained. A postrecovery engine exam was conducted under the supervision of an FAA inspector. Five gallons of fuel were added to each fuel tank. A slow leak (approximately 1 drip every 10 seconds) was observed from the left-wing fuel tank at two rivets near the area of the fence post strike. No leaks were observed from the right-wing fuel tank. The engine started and ran smoothly at idle and about 1,000 rpm. No anomalies with respect to the engine were observed. The pilot reported that about 16 gallons of fuel were on-board upon the initial departure from 3AU, with about 8 gallons remaining at the time of the takeoff from AAO. He added that "the aircraft utilizes a fuel totalizer to calculate fuel on board. A method to verify the totalizer's measurement of fuel remaining versus the actual fuel in [the] tanks is suggested." The pilot informed an FAA inspector that the airplane fuel gauges were unreliable so he used the fuel totalizer for that information. The fuel totalizer operating instructions noted that "the fuel remaining displayed by the FP-5(L) is not a measurement of the fuel in the tanks. . . . Even after verifying the calibration of the FP-5(L) it should never be used as the primary indicator of fuel quantity in the tanks." The instructions also added that "the use of the FP-5(L) does not eliminate or reduce the necessity for the pilot to use good flight planning, preflight and in-flight techniques for managing fuel." Federal regulations [14 CFR 91.205(b)(9)] require an operable fuel gauge indicating the quantity of fuel in each tank for all types of operations. 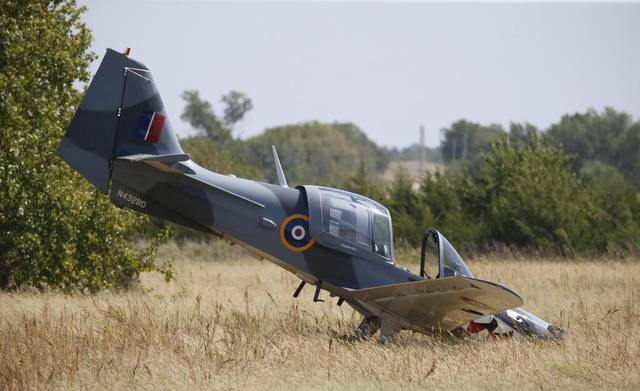 On September 22, 2016, about 1050 central daylight time, a Scottish Aviation Series 100 Model 101 airplane, N432BD, was substantially damaged during a forced landing following a loss of engine power near Wichita, Kansas. The pilot and passenger were not injured. The airplane was registered to and operated by private individuals under the provisions of 14 Code of Federal Regulations Part 91 as a personal flight. Day visual meteorological conditions prevailed for the flight, which was not operated on a flight plan. The flight originated from the Augusta Municipal Airport (3AU), Augusta, Kansas, about 1040. The pilot informed FAA inspectors that about 10 minutes after takeoff, during cruise flight, the engine lost power. While the engine continued to run at idle power, it would not provide sufficient power to maintain level flight. The pilot executed a forced landing to a field, encountering a small roadway embankment and a fence before coming to rest.